The presented room availability, rates and discounts are actual and final for all our 89 hotels in Tampa. The most famous landmark is the Museus of Science and Industry (MOSI); it is the most extensive research institution in the southeastern region of the country. There are more than four and a half hundreds of interactive exhibits in the museum allowing guests to expand their horizons significantly and to learn a lot of interesting facts about the world. Assault fighter management features, the most complicated heart operation, the power of natural elements and the diversity of inhabitants of the planet - these are just a few interesting topics covered by the exposition. The museum houses a modern movie theater regularly broadcasting non-fiction films and a planetarium. 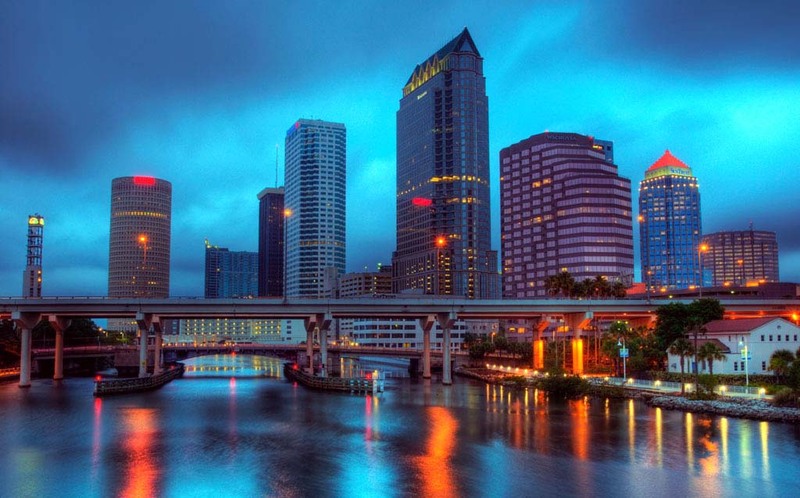 Travelers who are fond of art and culture of the past centuries would find interesting to visit the Tampa Museum of Art. In addition to a huge collection of pictures, it houses a vast collection of antiquities dating back to periods of ancient Greece and Rome. The museum regularly hosts interesting exhibitions and lectures, as well as educational activities for younger guests. In the city center on the river bank there is the Museum of Henry B. Plant. It was named after the outstanding transport magnate, who has been closely involved in the development of the economy and constructing the city. Beautiful palace in the Moorish style, which is home to the Museum, was also built under the direct guidance of Plant. Now a part of the historic building houses the University of Tampa. The museum's collection is very diverse and includes works of art, antique furniture, historical artifacts and jewelry.